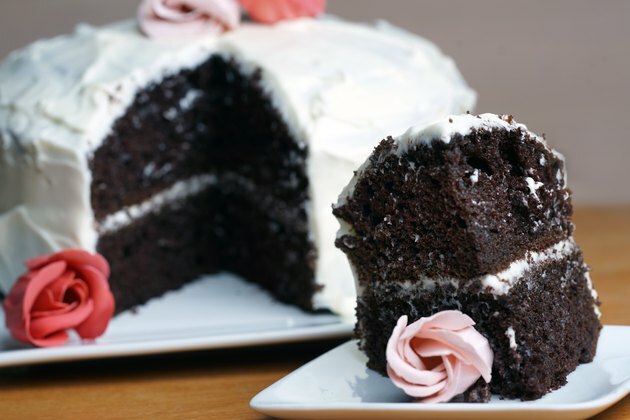 Adding pudding makes a boxed cake mix extra moist, so each bite melts in your mouth. Try vanilla pudding with anything from a yellow cake mix to a spice cake. Even lemon pudding adds a refreshing citrus flavor to white and yellow cake mixes, while chocolate pudding goes well with any chocolate cake mix. 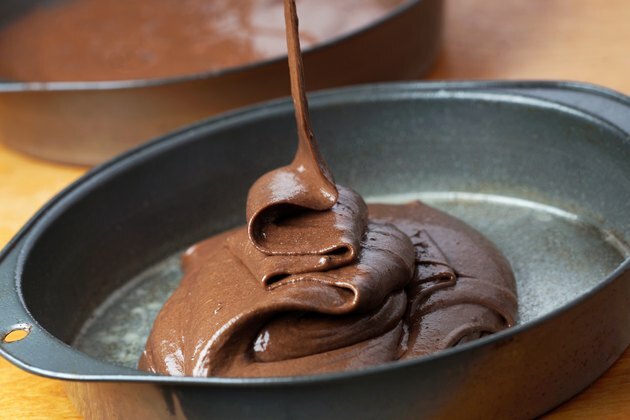 The gelatinous nature of pudding also helps hold the structure of the cake so you don't need to worry about the cake settling and losing its light, fluffy texture. Add the dry pudding mix to a mixing bowl. You'll need one box of dry pudding mix for each box of cake mix. Mix the dry cake mix with the dry pudding mix. You can mix these easily with a spoon or whisk without need for the electric mixer. 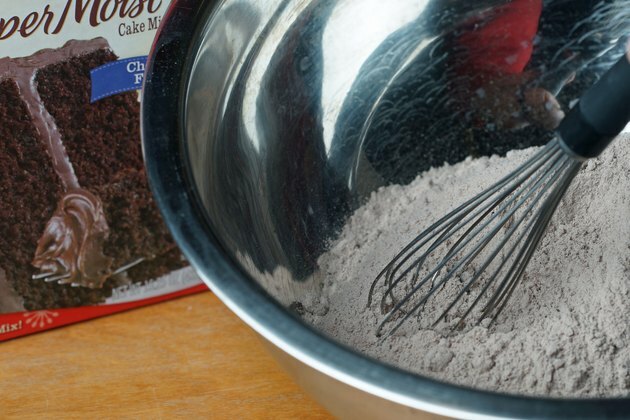 Add the wet ingredients to the dry ingredients, using the amount of each ingredient indicated on the cake mix box. 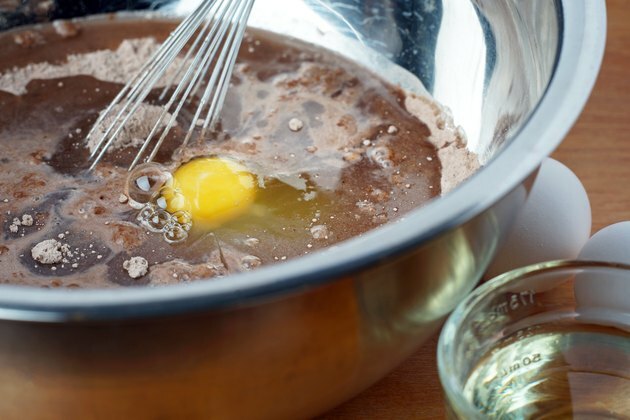 Boxed cake mixes usually require water, eggs and vegetable oil, but some butter cakes call for softened butter in place of oil. Mix the wet and dry ingredients with an electric mixer at medium speed until thoroughly combined and all lumps are smooth. 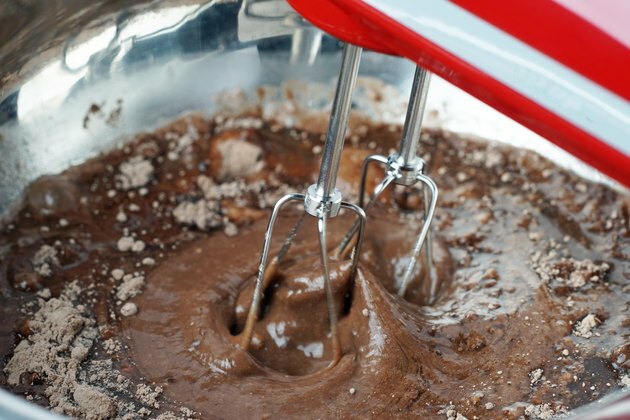 Scrape the sides of the mixing bowl with a rubber spatula to ensure all ingredients are mixed well. Pour the cake batter into a prepared cake pan and bake at the time and temperature indicated on the back of the cake mix box. 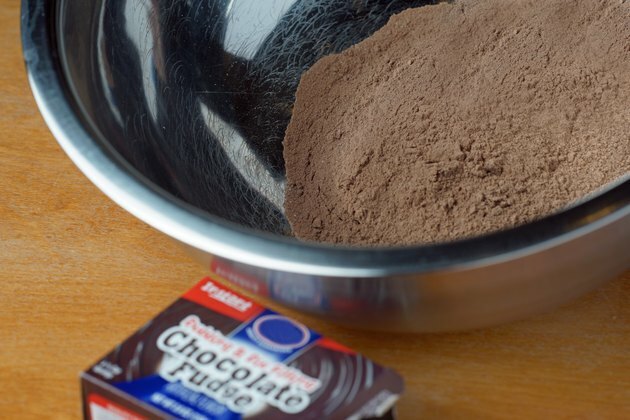 You can grease the cake pan with vegetable shortening and dust it with flour, or spray it with nonstick baking spray to prepare it for the cake batter. Some cake mixes, particularly those labeled "extra moist," might already include pudding mix. Read the cake mix box carefully and do not add another box of pudding if it is already included because it wil make the cake heavier.